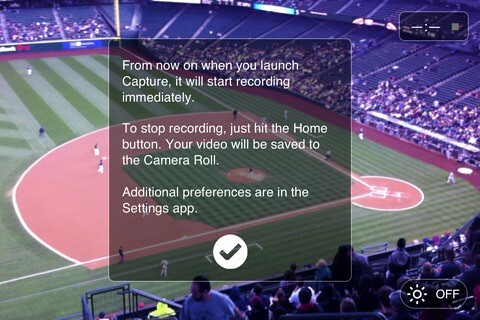 Capture is a new iOS app that starts recording video as soon its launched from your Springboard. 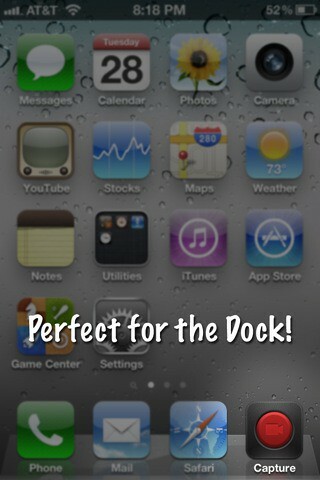 Capture is like a record button for your home screen. It immediately starts recording video after launched, and saves the video to your Camera Roll after it quits. That's it! Capture is simple utility that does a whole lot! You can purchase Capture from the App Store for $0.99.